Evergreen tree. Best if protected from frost. Medium size fruit, often with a bright red blush on the rind at maturity. 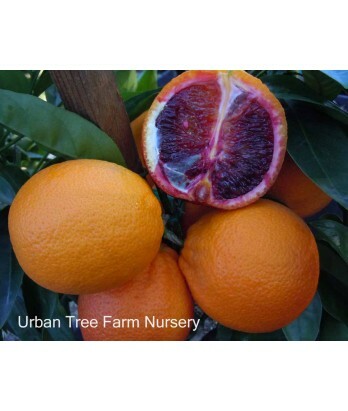 Internal color varies from light orangish red to dark purple later in the season. Flavor is rich and distinctive. Easy to peel, usually seedless. All citrus are heavy feeders. Regular water needs in well-drained soil once established.